No matter how often you do it, backing up your pickup to connect with a boat trailer is no fun. 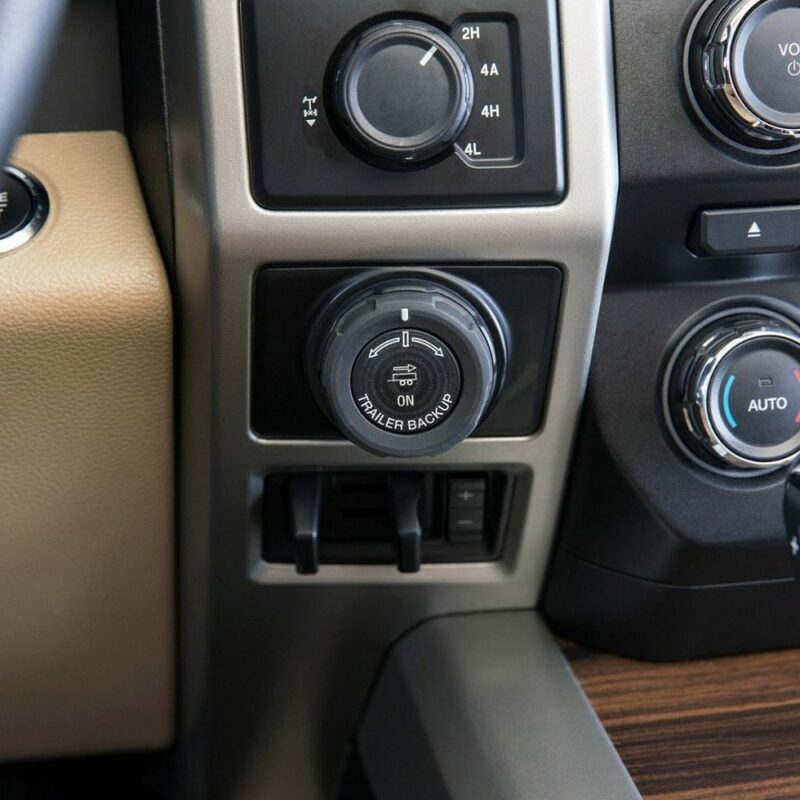 Ford recognizes that and, for the 2016 F-150 they are going to offer a backup system that allows you to steer your trailer by turning a knob left or right to indicate direction while the truck controls its steering and limits vehicle speed. If that sounds confusing — it did to me after I put it on paper — here is a simplified explanation. When you back up a pickup (or any vehicle) with a trailer attached, the front wheels have to be turned in the opposite direction that you want the trailer to do. If you turn too hard the trailer can make contact with the truck or jackknife. Avoiding this often requires a spotter. Ford’s new feature lets the driver steer the trailer with a control knob while the truck steers the trailer wheels and limits its speed. As a result, it should take less time to do the housekeeping stuff that is part of the towing experience. 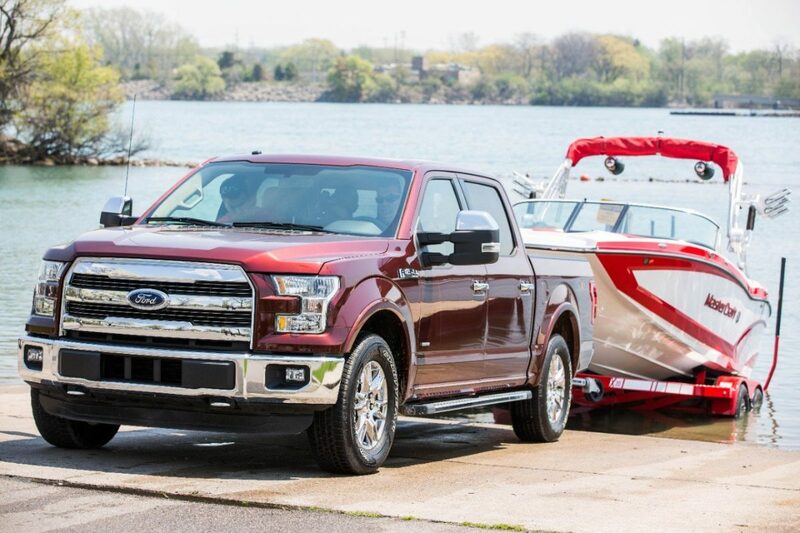 There is not a lot of additional information available at this time, but Ford is fully aware that it’s marketing leading position in pickups is always enhanced by features that make towing less of a chore. The 2015 F-150 already includes a 360-degree camera system that provides an overhead view of as much as 7-feet around the truck; a suite of energy efficient LED lighting and a segment-first smart trailer control module that shows a driver which lights on a trailer aren’t working. 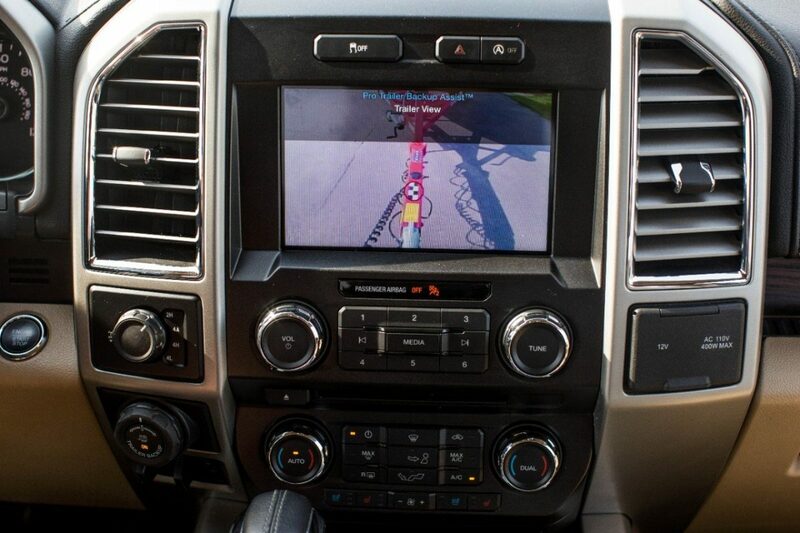 There is also an exclusive dynamic hitch assist that uses the rearview camera screen to show a dynamic line to help the driver line up the truck and trailer. No news yet on pricing for the Pro Trailer Backup Assist system. I suspect that it will be priced as part of a trailering package. When I have an opportunity to test it I’ll let you know. As first blush, it sounds like a feature that will please a lot of sportsmen and women.